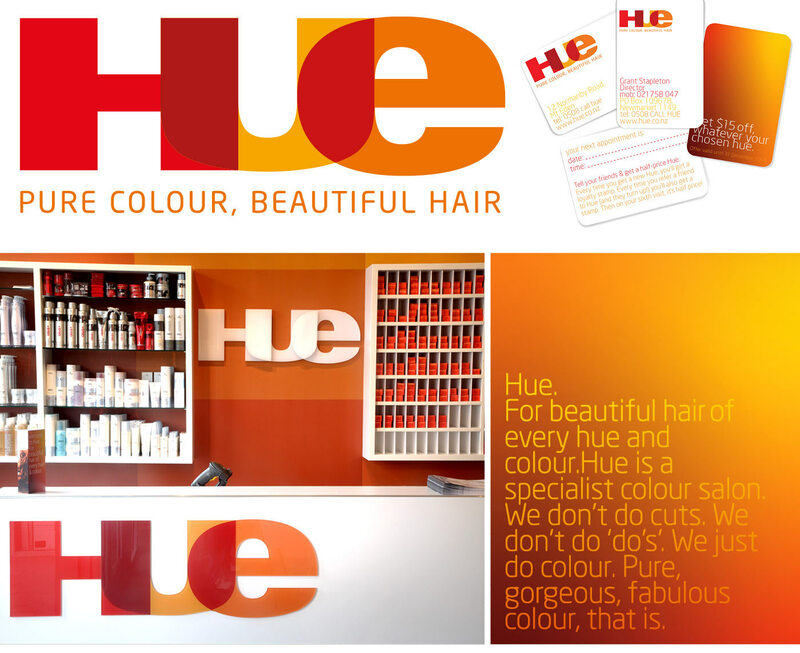 Hue was a new startup concept offering hair colouring services at value prices. Simon Inc was approached to create a distinctive and recognisable identity for the new brand, and extend that identity across the retail environments, marketing and advertising collateral and online applications. 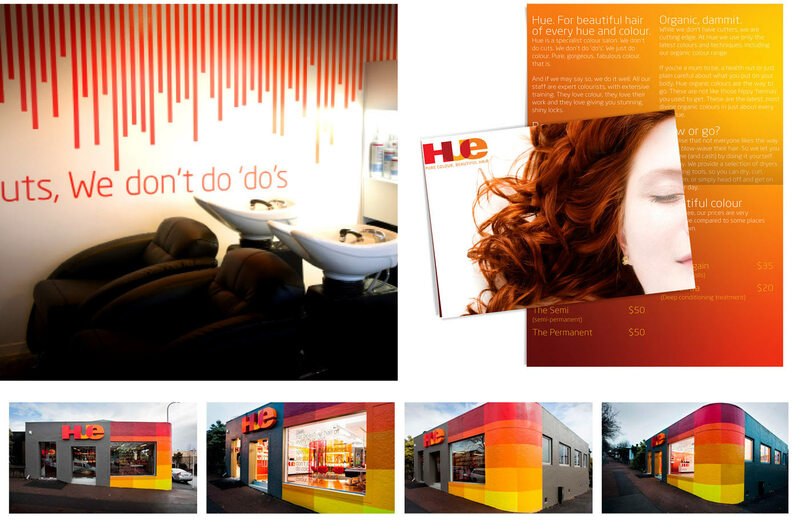 The format was a great success, with the initial store winning a bronze award at the prestigious “Best” New Zealand design awards and the concept being rolled out to four other branches.